Recently, I went to get acupuncture for the first time. I only had a vague idea of what to expect, but it turned out to be pretty interesting. I’m glad I tried it. We were in good hands from the beginning. The acupuncturist we went to, Fu Yu-Tai, was a tui-na master in China with a successful practice before he came to California. His office here was straightforward and businesslike, but I didn’t mind. I was there for the needles, not the ambience. He first asked me what was bothering me. I told him nothing in particular, which confused him a bit, so I recanted and admitted that my neck and shoulders occasionally get stiff. He started with a massage, which surprised me, then put in the needles, turned out the lights, and left us to bake for half an hour. Thank god I brought podcasts to listen to, since I can’t stand being idle without a choice. The needles tingled a bit as he inserted them, but otherwise I didn’t feel much. The first time I fidgeted a bit, though, I was blown away. It didn’t hurt, exactly, but it did feel like a two by four had materialized between my shoulder blade and my back. It was very, very uncomfortable. I immediately shifted back, and the two by four disappeared. A few minutes later I fidgeted again, without thinking, and this time an anvil sprouted inside my neck. Very disconcerting, and like the two by four, very uncomfortable. I learned my lesson, gingerly turned my head back, and tried hard not to move at all for the next twenty minutes. I consoled myself with the thought that it could be worse. As we left, I asked my neck and shoulders how they felt, and they weren’t sure. Maybe better? The results were inconclusive. To Fu Yu-Tai’s credit, though, he did successfully remove the two by four from my shoulder and the anvil from my neck. Now when I wake up with a hope chest embedded in my back, I know what to do! Incidentally, neither Google nor Yelp admit to knowing anything about a Yu Tai Acupuncture Clinic at 3033 Clement St. in San Francisco. If it wasn’t for Street View, I might suspect I dreamt the whole thing. Hello I’ve been searching and searching about Dr Fu and finally found your post. Is there anyone else out there who goes to Dr. Fu? I’ve been going to him for a month and a half now for fertility treatments and was wondering how everyones experiences were? I really enjoy him but don’t have anything to base it on since there’s literally nothing out there about him. Hi. I’ve been to dr. fu before and he is great!!! Thing is i havent been in a while and wanted to schedule an appointment. Could you post his number? It’s my first time to catch up your blog. Can’t resist to post a comment because of my nursing background.I’M A GREAT BELIVER IN THIS KIND OF CHINESE ALTERNATIVE MEDICINE. I’m very sensitive to western prescriptions thus I had to turn to acupuncture AND massage therapy for some medical problems in order to avoid taking prescriptions. With my personal experience, acupuncture/massage therapy are best used on stress, either physical or psycho. The bottom line is : make sure your therapist is competent on his job. AND,I don’t know Dr.Fu, so , this is not a recommendation of him. I met Dr. Fu back in 1995/6. I had a ski injury with my neck and it will caused headache frequently. After at least 2 years of suffering, by chance, I met with Dr. Fu when he just got to the US and practicing at my friend father’s hair salon. He worked on my twice, and I have no more headache from the injury. My neck muscle still require massage, and stretching, but no more suffering. 3 years ago, I went to see him again on Clement Street. He still has my “pager” number and still remembered me. I had a sharp pain in my back and he took one session to cure it. Both time, he told me, don’t need to come back because if that doesn’t work, then I cannot help you anyway! Much better than the others, “oh, come back in two weeks…..” I believe in this Doctor and I have been recommending him for my close friends and family. 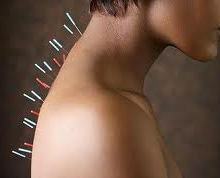 I was confused on my first time treatment on acupuncture, it is painless. He is an amazing healer! Only allegations but srsly wtf? is the above really the same guy on Clement street? The guy been practicing for over 10 years in the US (thousands of patients), and 1 complaint (without any evidence), and the Board of Acupuncture revoked his license just to cover their own behinds and slap him with all their fees. I feel bad for the guy. Pretty crazy that they would revoke his license based on the allegations of one woman. And this was back in 2009!